This is an example of calling a component service from an ajax style request and this must be define a struts action in struts-config-ext.xml. Plese find below a snippet. e.g. Service actions above can be used in refresh areas example below. After completion of the command, the struts action forwards the JSP file that generates a JSON , with response property containing success or failure details. Reference: For more information on checkout controls, please review IBM infocenter. If you guys have worked with DB2 from VM. This could happen from periodically. 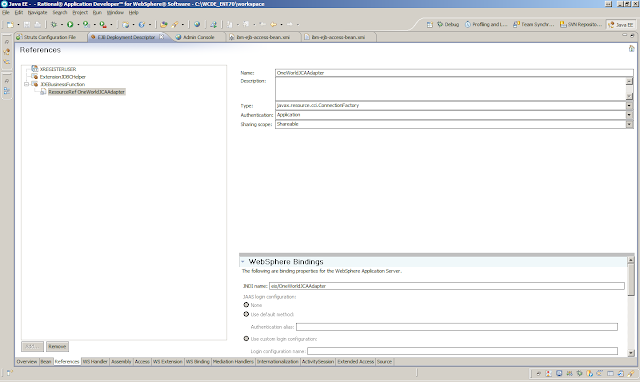 Just be vary to uncatalog and catalog with the new IP address. 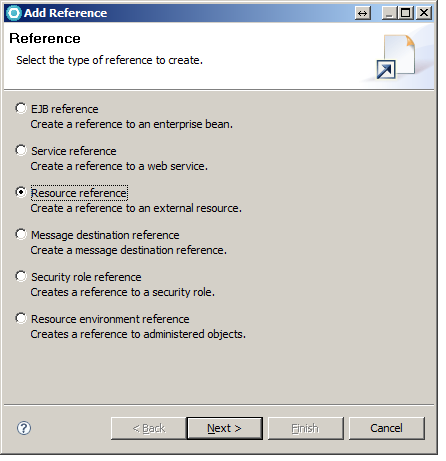 Adding a resource reference is required for multiple purposes and one example would for JDE Integration. 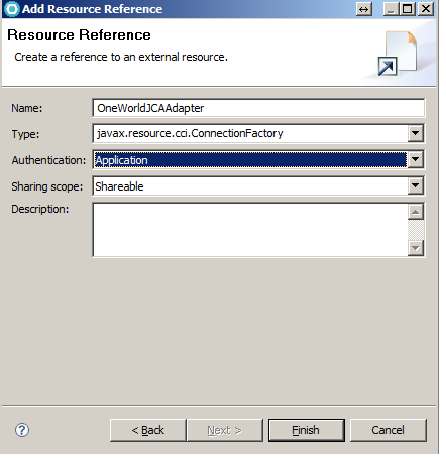 When you need to connect to a third party or external resource. 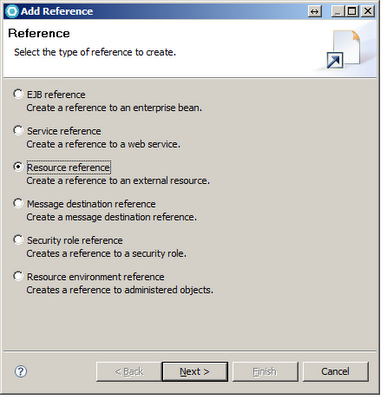 Click the deployment descriptor the EJB project and goto the references tab and click add reference.